Jasmine An is a queer, third generation Chinese-American who comes from the Midwest. 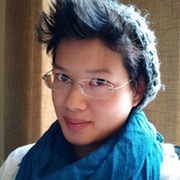 Born in Ann Arbor, Michigan, and raised in the Twin Cities of Minnesota, she has also lived in New York City and Chiang Mai, Thailand, studying poetry, urban development, and blacksmithing. Her work can be found, or is forthcoming, in numerous places such as HEArt Online, Stirring, Heavy Feather Review, and Southern Humanities Review. Her chapbook Naming the No-Name Woman won the Two Sylvias Press Chapbook Prize and is due out in early 2016. 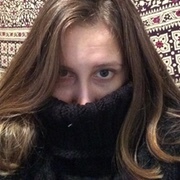 Kelly Andrews' poems have appeared or are forthcoming in PANK, Prick of the Spindle, Rogue Agent, IDK Magazine, Lime Hawk, and Weave Magazine, among others. Her chapbook Mule Skinner is available from Dancing Girl Press (2014). She coedits the online journals Pretty Owl Poetry and Hot Metal Bridge. She also has a hand in creating B.E. Quarterly, a sometimes-quarterly zine. 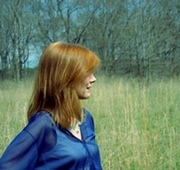 Maggie Blake Bailey has poems published in The Southern Poetry Anthology, Volume V: Georgia, Tar River, Slipstream, and elsewhere. She has been nominated twice for a Pushcart Prize and her chapbook, Bury the Lede, is now available for pre-order from Finishing Line Press. For more work, please visit maggieblakebailey.com. Deborah Bacharach is the author of After I Stop Lying (Cherry Grove Collections, 2015). 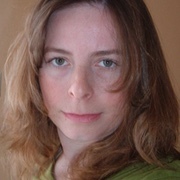 Her work has appeared in The Antigonish Review, Literary Mama, Cimarron Review, and Arts & Letters, among many others. She lives in Seattle. Find out more about her at DeborahBacharach.com. 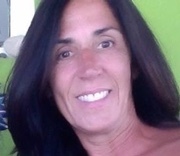 Julie Brooks Barbour lives in Michigan where she teaches English at Lake Superior State University. She is the author of Small Chimes (Aldrich Press, 2014) and three chapbooks, most recently Beautifully Whole (Hermeneutic Chaos Press, forthcoming 2015). She is co-editor of Border Crossing and Poetry Editor at Connotation Press: An Online Artifact. 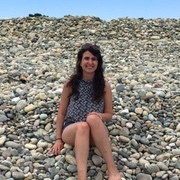 Emily Becker is a recent graduate of Connecticut College, where she studied English, Creative Writing, and Sociology. Currently back home with her family and dog Lester, she works in New York helping underserved kids access greater academic support. “Heart” is her debut publication. 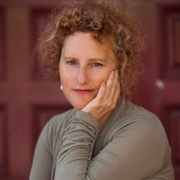 Francesca Bell's poetry appears in many journals, including New Ohio Review, North American Review, PANK, Poetry Northwest, Prairie Schooner, River Styx, and Zone 3. She has been nominated eight times for the Pushcart Prize and won the 2014 Neil Postman Award for Metaphor from Rattle. Her website is www.francescabellpoet.com. Jon Boisvert grew up in southeastern Wisconsin & now lives in Oregon. He's a graduate of the Independent Publishing Resources Center's certificate program, & of other programs, too. His first book, Born, is forthcoming on Airlie Press. 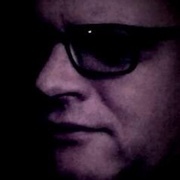 You can sometimes see his new poems & drawings & stuff at www.jonboisvert.com. 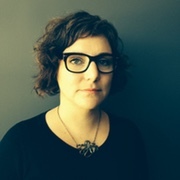 Emily Capettini is an Assistant Editor for Sundress Publications and holds a Ph.D. in English from the University of Louisiana at Lafayette. Her fiction has previously appeared in places like Stone Highway Review, and her chapbook, Thistle, is forthcoming from Omnidawn. In her free time, Emily runs and blogs about women and Doctor Who. Vincent Louis Carrella is a storyteller whose words and photographs illuminate humans in an effort to interpret their collective dreams. He is the founder of The Light House, a storytelling agency that works with passionate people and unique brands to discover and convey their magic and authenticity. He is a writer, poet, photographer, father, bone collector, and the author of the novel Serpent Box (Harper/Perennial). Vincent posts writing and photographs at serpentbox.wordpress.com. A.E. 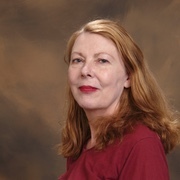 Clark received her BA from Beloit College and her MFA in Creative Writing from the University of Nevada, Las Vegas. Her chapbook ADDRESSES HOME is forthcoming from Finishing Line Press (2015). Recent work has appeared or is forthcoming in Mid-American Review, Rust + Moth, Sugared Water, and Witness. She lives in Las Vegas, where she works as an antiquarian bookseller. www.aeclarkwriter.com. 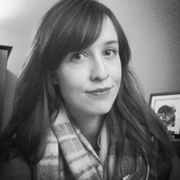 Chloe N. Clark's work appears in Apex, Diabolical Plots, Midwestern Gothic, and more. She's a baker of fantastical things and spends too much of her time thinking about Battlestar Galactica. Follow her @PintsNCupcakes. 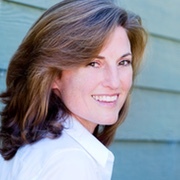 Rebecca Connors was raised in the suburbs of Washington, D.C. and received her BA in English from Boston University. After living in multiple cities, she is back in Boston where she writes poetry and works as a digital strategist. Her work has recently appeared or is forthcoming in burntdistrict, Bird's Thumb, Dialogist, and Tinderbox Poetry Journal. Find her on Twitter at @aprilist. 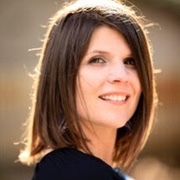 Carrie Cook retired from the military in 2008 and began studying creative writing at Kansas State University shortly thereafter, with a slight detour for a degree in fashion design. 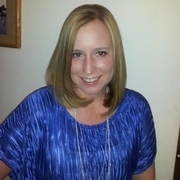 Originally from California, she currently enjoys mountain living with her husband and three dogs. Her work has appeared in The New South and Touchstone, and is upcoming in The Columbia Review. Juliet Cook's poetry has appeared in a small multitude of literary publications. She's the author of more than thirteen published poetry chapbooks, most recently a collaborative chapbook with Robert Cole, MUTANT NEURON CODEX SWARM, new from Hyacinth Girl Press in January 2015, and another new collaborative chapbook with j/j hastain, Dive Back Down, forthcoming from Dancing Girl Press later in 2015. Juliet's first full-length poetry book, Horrific Confection, was published by BlazeVOX and her second full-length poetry book, Malformed Confetti will be published later this year by Crisis Chronicles Press. You can find out more at JulietCook.weebly.com. Krista Cox can be found in South Bend, Indiana, where she lives with two precious patience-testers (children) and works with three of them (lawyers). Her poetry has recently appeared in Stirring: A Literary Collection, Words Dance, and scissors & spackle, among other places in print and online. Her OKCupid profile is a work of creative literary genius. Timothy Day loves puns, stuffed animals with ambiguous demeanors, and the sight of abandoned furniture in natural settings. His fiction has appeared or is upcoming in journals such as The Apple Valley Review, Burrow Press Review, WhiskeyPaper, Petrichor Machine, and others. You can visit him online at frogsmirkles.wordpress.com. Ramzi De Coster is a half Belgian, half Lebanese, Istanbul-bred writer with a bachelor's degree from New York University and an aching ambition to illuminate the complexities of our collective social and political lives through literature. While at NYU he studied History and Creative Writing before moving to London in September 2014 and then to Istanbul in April 2015. He is currently a Freelance Content Writer for an e-publishing firm in New York City and he hopes to jump-start his multimedia-based career as a writer and documentary filmmaker while based in Turkey. 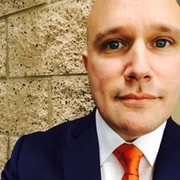 Darren C. Demaree is the author of As We Refer to Our Bodies (8th House, 2013), Temporary Champions (Main Street Rag, 2014), The Pony Governor (2015, After the Pause Press) and Not For Art Nor Prayer (8th House, 2015). 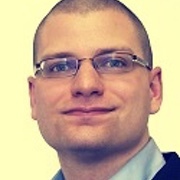 He is the Managing Editor of the Best of the Net Anthology. He is currently living in Columbus, Ohio with his wife and children. 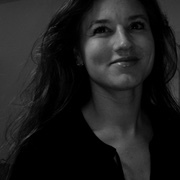 Katharine Diehl lives in Queens and has been published recently in burntdistrict and Passages North. She studies educational psychology and works with young children. You can find her at frozenseawriting.tumblr.com. 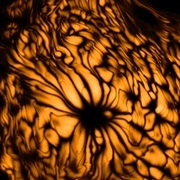 Lauren Dixon's work has appeared in DIAGRAM, Oracle, Extract(s), and in a number of other publications. She has an MFA in Creative Writing from Texas State University, and she attended Clarion West in 2010. Alice Doherty lives in Iowa City, Iowa with two roommates and several boxelder bugs that live in her shower. She writes primarily plays and short fiction. 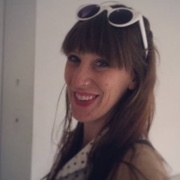 Samantha Duncan is the author of the chapbooks One Never Eats Four (ELJ Publications, 2014) and Moon Law (Wild Age Press, 2012), and her work has recently appeared or is forthcoming in Fruita Pulp, Flapperhouse, and Posit. She serves as Executive Editor for ELJ Publications and reads for Gigantic Sequins. She lives in Houston and can be found at @SamSpitsHotFire and planesflyinglowoverhead.blogspot.com. Chelsea Eckert is currently attending UNC Greensboro for her MFA in creative writing. Her fiction and poetry have appeared (or will appear) in over twenty-five venues. Stalk her like a hungry catamount at chelseaeckert.me. Amber Edmondson is a book artist who lives near the shores of Lake Superior. Her work has appeared in Border Crossing, Midwestern Gothic, and Storm Cellar Quarterly. She has also been nominated for three Pushcart Prizes. Melissa Eleftherion grew up in Brooklyn. A high school dropout, she went on to earn an MFA in Poetry from Mills College and an MLIS from San Jose State University. She is the author of huminsect, prism maps, Pigtail Duty, the leaves the leaves, green glass asterisms, and several other chapbooks. Her poems have been widely published, & have recently appeared in Lunch Ticket, Luna Luna, Negative Capability, & Queen Mob's Teahouse. 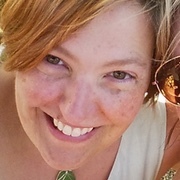 Melissa lives in Mendocino County where she works as a Reference & Teen Services Librarian, teaches creative writing, & serves on the Poet Laureate Committee. In the wee hours, she manages the Poetry Center Chapbook Exchange which she created & developed for The Poetry Center at San Francisco State University. More of her work can be found @ apoetlibrarian.wordpress.com. Alicia Elkort is an emerging poet living and writing in California. She has worked in the film industry for over 18 years and is currently producing a documentary on Prayer. She edited and contributed to the chapbook Creekside, published under the auspices of the Berkeley Poetry Review where she also served as an editor. Her poetry was featured in the Ishaan Literary Review and has also been published in Elsewhere Lit and the anthology Mother is a Verb, and is forthcoming in Glint Literary Journal. She earned a Bachelor's degree in literature from UC Berkeley and a Master's Degree in Spiritual Psychology with an Emphasis in Consciousness, Health, and Healing. Her poems often capture solitary moments of joy and sorrow, as well as reflect the immense beauty inherent in the journey within, a mystical journey of healing and transcendence. Ruth Foley lives in Massachusetts, where she teaches English for Wheaton College. Her work appears in numerous web and print journals, including Antiphon, The Bellingham Review, The Louisville Review, and Sou'wester. Her chapbook Dear Turquoise is available from Dancing Girl Press. She serves as Managing Editor for Cider Press Review. 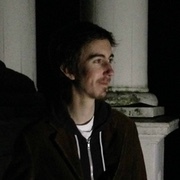 Aidan Forster is the blog editor of The Adroit Journal. He has work in or forthcoming from The Adroit Journal, Assaracus, Verse, DIALOGIST, Hermeneutic Chaos Journal, Souvenir Lit Journal, Alexandria Quarterly, and on the HIV Here and Now website. Fox Frazier-Foley is the author of two prize-winning poetry collections, Exodus in X Minor (Sundress Publications, 2014) and The Hydromantic Histories (Bright Hill Press, 2015). She is currently co-editing an anthology of contemporary American political poetry, Political Punch (Sundress Publications, 2016) and an anthology of critical writing on aesthetics, Among Margins (Ricochet Editions, 2016). 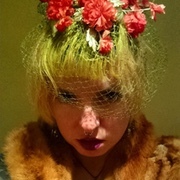 She writes poetry horoscopes for Luna Luna mag, and she co-runs TheThe Poetry Blog (her own section, which she edits and curates independently, is TheThe's Infoxicated Corner). She is married to a blue-collar worker who does manual labor. She has two rescue dogs. She is heavily tattooed. She graduated Phi Beta Kappa from Binghamton University, received her MFA from Columbia University, and she is currently a Provost's Fellow in the Literature & Creative Writing Ph.D. program at the University of Southern California. 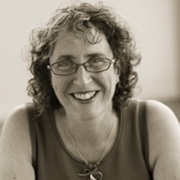 Amy Friedman teaches English at Harper College and earned her MA in Comparative Literature from Northwestern University. She is a regular contributor to Newcity, and her work has appeared or is forthcoming in *82 Review, Melancholy Hyperbole, Fractal, Extract(s), Referential Magazine, Crack the Spine, and other publications. 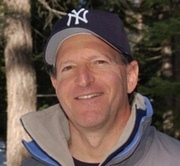 Jay Gershwin lives in Brooklyn, New York. 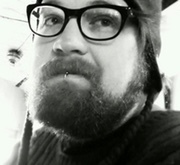 His work has appeared in Bartleby Snopes (Best of 2011), Monkey Puzzle, Fractured West, Red Fez, and is forthcoming in Crack the Spine and Pidgeonholes. Lizi Gilad is a first-generation American of Mexican and Israeli descent. She lives in Southern California, holds an MFA from UC Riverside's low residency program, and volunteers with PEN American's Prison Writers Mentorship program. Her work can be found in burntdistrict, Forklift Ohio, Poor Claudia, Real Pants, YEW, and others. Her chapbook Hyperion won the Big Lucks Best Prize contest and will be released by Big Lucks in winter of 2015. 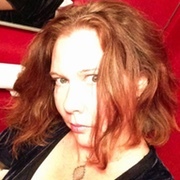 Kat Giordano is a poet and fiction writer from Philadelphia. She is currently pursuing a BFA in creative writing and minor frostbite from Penn State Behrend in Erie, PA.
Wendy Gist's poetry, fiction and essays have been featured or are forthcoming in Amsterdam Quarterly, Empty Mirror Arts and Literary Magazine, Foliate Oak, Fourth River, Gravel, Grey Sparrow Journal, Illya's Honey, Juked, New Plains Review, Rio Grande Review, Soundings Review, The Galway Review (Ireland), The Lake (UK), and many other fine journals. A native Arizonan, she now lives in New Mexico where she serves as Co-founding editor of Red Savina Review. She's the author of the chapbook Moods of the Dream Fog forthcoming from Finishing Line Press. Can be pre-ordered @ finishinglinepress.com. Jennifer Givhan is an NEA fellow in poetry. A Mexican-American poet who grew up in the Imperial Valley, a small, border community in the Southern California desert, she was a PEN/Rosenthal Emerging Voices Fellow, The Pinch Poetry Prize winner, the DASH Literary Journal poetry first-prize winner, the 2015 Blue Mesa Review poetry second-prize winner, an Andrés Montoya Poetry Prize finalist, and a 2014 Prairie Schooner Book Prize finalist. 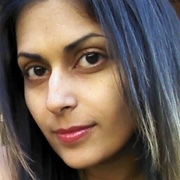 She earned her MFA from Warren Wilson College, her Master's from Cal State Fullerton, and her work has appeared in over eighty journals and anthologies, including Best New Poets 2013, AGNI, Southern Humanities Review, Prairie Schooner, Indiana Review, Rattle, The Collagist, and The Columbia Review. She teaches online at Western New Mexico University and The Rooster Moans Poetry Coop. You can visit Givhan at jennifergivhan.com. 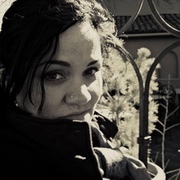 Janae Green is a writer living in the Pacific Northwest. Her poems and short stories have appeared in Atticus Review, Fiction Fix, Paper Darts, The Molotov Cocktail, and others. You can visit her online at janaegreen.wordpress.com. Travis Gouré is a young writer born in Charlotte, NC, residing in Atlanta, GA. When he isn't working at a car wash downtown, he writes poetry and short stories in unlit basements. He has been unabashedly submitting pieces to journals for consideration since age nine, and is elated to finally be in the company of accomplished writers. His short story Scout and Leila in Menacing Hedge is his debut publication. 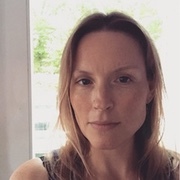 Sarah Kain Gutowski is the author of Fabulous Beast: The Sow, a chapbook published by Hyacinth Girl Press, and an Associate Professor of English at Suffolk County Community College. Her poems have been published in Stirring: A Literary Collection, Verse Wisconsin Online, Verse Daily, The Gettysburg Review, The Southern Review, Epiphany, The Threepenny Review, and So to Speak: A Feminist Journal of Language and Art, and she has work forthcoming in Calyx: A Journal of Art and Literature by Women and Fjords Review. She keeps a record of her writing life, experience in academia, and motherhood at mimsyandoutgrabe.blogspot.com. Connie Guo is currently an overstressed junior at Seven Lakes High School and resides in Katy, Texas. When she is not studying, she writes, draws, reads, frets about the future, and spends her time contemplating the meaning of life. Ken Haas splits his time between San Francisco and Truckee, CA, with his bike, kayak, skis and ice cream. He works in healthcare and sponsors a poetry writing program at the UCSF Children's Hospital. His poems have appeared in numerous journals, including Alabama Literary Review, Sanskrit, The Cape Rock, Cottonwood, Crack The Spine, Existere, Forge, Freshwater, The Healing Muse, Helix, Lullwater Review, Moon City Review, Natural Bridge, Nimrod, Pennsylvania English, Quiddity, Red Wheelbarrow, Rougarou, Schuylkill Valley Journal, Spoon River Poetry Review, Soundings East, Tattoo Highway, and Wild Violet. You can visit him online at http://kenhaas.org. Jill Hand is the author of The Blue Horse, a science fiction/fantasy novella from Kellan Publishing, based on a bizarre true story. She is an associate editor at Bewildering Stories, where she actually enjoys reading through the slush pile. 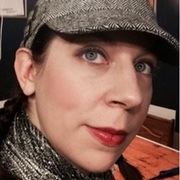 Her work has appeared recently in Another Realm, Frostfire Worlds, Jersey Devil Press, Nebula Rift, and T. Gene Davis's Speculative Blog, among others. Lauren Henley is a poet and human being who was born and raised in the Mojave Desert Village of Joshua Tree, California. Her two chapbooks, The Finding and Desert with a Cabin View, can be found at orangemonkeypublishing.com. She is co-editor for Aperçus Quarterly, an online literary journal and soon-to-be press. She lives with her husband, poet and drummer Jonathan Maule, in California's Inland Empire, where the trees and the air are both green. 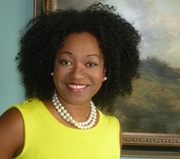 Brenda Mann Hammack is an Associate Professor of English at Fayetteville State University where she teaches creative writing, children's literature, and women's literature. She serves as Managing Editor for Glint Literary Journal, and leads workshops on fairy tale and magic realism via The Rooster Moans Poetry Cooperative and The Eckleburg Workshop. 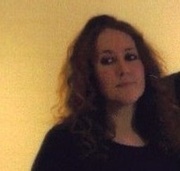 She is the author of Humbug: A Neo-Victorian Fantasy in Verse (Misty Publications 2013). 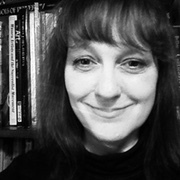 Jennifer Hanks is the author of two chapbooks, Prophet Fever (Hyacinth Girl Press) and The Unsteady Planet (Instar Books), a collaboration with illustrator Julie Herndon, both forthcoming in 2016. Most recently, her work has appeared in Arcadia, Ghost Ocean, Autostraddle, and PANK. She was awarded a 2015 summer residency at Sundress Academy for the Arts in Knoxville, TN. To see more of her work, follow her at @corsetofscales and azura09.tumblr.com. 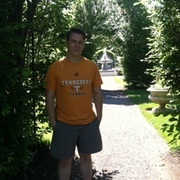 Eric Hawthorn is a reader and writer living in Philadelphia. He is a graduate of the Jack Kerouac School of Disembodied Poetics at Naropa University. His recent fiction publications include pieces in LIT, This. Literary Magazine, Rathalla Review, and The Cafe Irreal. He is the Founder, Curator, Unpaid Intern, and Wise Janitor at FictionFeed.net, where he features and reviews the internet's best short fiction. Jane Huffman is a recent graduate of Kalamazoo College, where she earned her BA in Creative Writing and Theatre Arts. Her poetry has been published widely in print and online, in journals including RHINO Poetry, Word Riot, Arroyo Review, Hot Metal Bridge, and The Boiler. 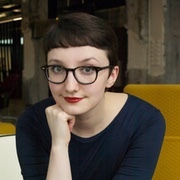 She is an Editorial Assistant at Sundress Publications and is beginning MFA candidacy at the University of Iowa Writers' Workshop in the fall of 2015. 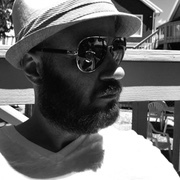 Soren James has previously been published in Freeze Frame Fiction, Every Day Fiction, and Page & Spine. Jessie Janeshek's first book of poems is Invisible Mink (Iris Press, 2010). 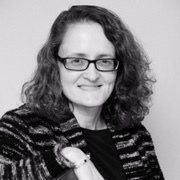 An Assistant Professor of English and the Director of Writing at Bethany College, she holds a Ph.D. from the University of Tennessee-Knoxville and an M.F.A. from Emerson College. She co-edited the literary anthology Outscape: Writings on Fences and Frontiers (KWG Press, 2008). Lissa Kiernan's first book of poetry, Two Faint Lines in the Violet (Negative Capability Press), is a Foreword Reviews' 2014 INDIEFAB Book of the Year Award Finalist, as well as a finalist for the 2014 Julie Suk Award for Best Poetry Book by an Independent Press. She founded and directs The Poetry Cooperative and The Poetry Barn. More at lissakiernan.com. Andrew Koch is a resident of Spokane, Washington, where he and his wife are raising a cat. 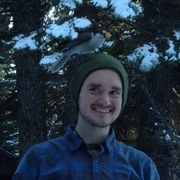 He is an MFA candidate at Eastern Washington University and serves as managing editor at Stirring: A Literary Collection. He enjoys movies that use matte paintings and is currently learning how to hike. 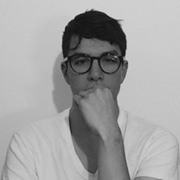 His work has previously appeared in Bodega, Rust + Moth, Bluestem, Connotation Press, you are here, and others. Suzanne Langlois was born in Vermont in a VW bus during a blizzard on St Patrick’s Day. She lives in Portland, Maine, when she teaches high school English. Her poetry has appeared or is forthcoming in Yellow Chair Review, Rattle Poets Respond, Third Point Press, Off the Coast, and English Journal, as well as in the anthologies Passion and Pride: Poets in Support of Equality Word Portland’s Be Wilder, and Hysteria. She competed in the Women of the World Poetry Slam in 2012 and the Individual World Poetry Slam in 2013 and 2015. She holds a BA in English from Tufts University and a M.Ed. in Teacher Leadership from Harvard Graduate School of Education and has the student loan debt to show for it. Elsa M. León was born in Miami, Florida to Cuban and Dominican immigrant parents. She graduated from the University of South Florida with a BA in English and Creative Writing and a minor in Women's and Gender Studies. She is currently seeking the right fit for a MFA program. She has also been published in Torrid Literature Journal. She is a lover and supporter of artistic pursuits of all kinds, particularly animation, illustration, and writing. She also enjoys gaming, reading, collecting a variety of things, stalking around interesting places, and watching beautiful and disconcerting animation. 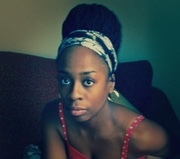 Kathleen Brewin Lewis is the author of a chapbook, Fluent in Rivers (FutureCycle Press, 2014). 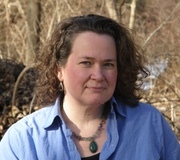 A two-time Pushcart Prize nominee and a Best of the Net nominee, she was a finalist for the 2014 Ron Rash Poetry Award. 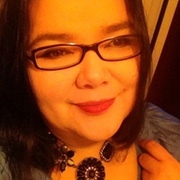 Her work has recently appeared or is forthcoming in Valparaiso Poetry Review, Southern Humanities Review, San Pedro River Review, Still: The Journal, and Heron Tree. 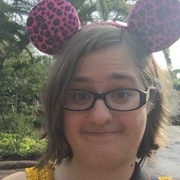 She lives in Atlanta and Savannah, Georgia, and is senior editor of the online journal, Flycatcher. Jessica Lindsley is poet who grew up in North Dakota before the oil boom. Her written work has appeared in numerous journals including Thirteen Myna Birds, Literary Orphans, and cryopoetry. She is part of The Laughing Girls' collaboration to unite the poets of the plains with their inaugural poetry reading in Fargo, ND. Nate Logan was born and raised in Indianapolis, IN. His recent work appears in BOAAT, The Boiler, and Ghostwriters of Delphi. He's chief editor of Spooky Girlfriend Press. 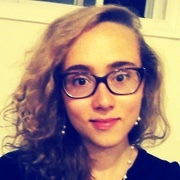 Isabel Mader's poetry has been published by Concrete Magazine, Blast Furnace Press, Broken Tooth Press' Hollow, Chatsworth Press' Lonely Whale Memoir: An Anthology, and now Menacing Hedge. She earned her BFA in Writing, Literature, and Publishing from Emerson College in December 2015 and is currently waist-deep in graduate school applications. She lives in Cambridge with her partner and several other fuzzy creatures. Jennifer Martelli’s chapbook, Apostrophe, was published in 2011. Most recently, her poetry has appeared in Wherewithal, Up the Staircase Quarterly, and Rogue Agent. Her reviews have appeared in Glint, Arsenic Lobster Poetry Journal, and Drunken Boat. 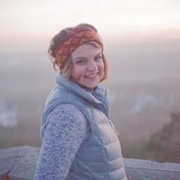 She is a recipient of the Massachusetts Cultural Council Grant in Poetry, a Pushcart and Best of the Net nominee and is an associate editor for The Compassion Project. She lives in Marblehead, Massachusetts with her family. www.jennifermartelli.com. Carlo Matos has published four books of poetry. His first book of fiction is now available from Mayapple Press. His poems, stories and essays have appeared in such journals as Iowa Review, Boston Review, PANK, and Menacing Hedge, among many others. Carlo teaches writing at the City Colleges of Chicago and the Rooster Moans Poetry Coop. He has received grants from the Illinois Arts Council, the Fundação Luso-Americana (FLAD), and the Sundress Academy for the Arts. A former cage fighter, Carlo now trains fighters when he's not entertaining clients at the Chicago Poetry Bordello. For more about his work, please visit carlomatos.blogspot.com. 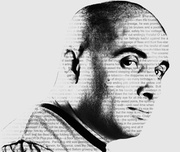 Follow him on twitter @CarloMatos46. MANDEM is the art name shared by Maize Arendsee and her life partner, Moco Steinman-Arendsee. Drawing on an academic background in classical mythology, gender studies, and critical theory, MANDEM works across media and materials (painting, assemblage/collage, film, sculpture, and book-making), intentionally destabilizing genre in terms of content and media. While Maize completed an MFA degree in studio art over the last three years, MANDEM's work appeared in over 100 publications and 80 art exhibits (winning eight juror awards). They currently live in Tallahassee, FL and have a four-year-old kid named Kitsuko. K.C. Mead-Brewer is a writer and editor working in beautiful Baltimore, MD. Her writing appears in a variety of publications, including Danse Macabre, Ellipsis, SQUAT Birth Journal, and Used Gravitrons. She also serves as an Editor-at-Large with Cleaver and as a First Reader for Strange Horizons. Tracie Morell's dedication to her art drives her to live, not just survive in a hyperbolic mass media culture which communicates you will never be or have enough. Tracie received a BA in English Literature from Pennsylvania State University. She was Managing Editor and Non-fiction editor of Lake Effect, from 2001-2003. 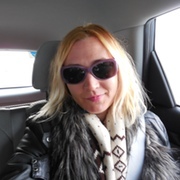 Her work has appeared in Vox, Anemone Sidecar, Menacing Hedge, B&Y Dog, Inclement, Foliate Oak Literary Magazine, Gravel, Aperion Poetry With a Dash of Salt: Anthology, Spitmag Art Magazine, among others. She was nominated for the 2012 Pushcart Prize and Best of the Web. She was a two time finalist for the Erie County Poet Laureate in 2012 and 2014. Her work has been translated to German. 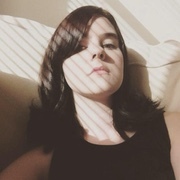 T. A. Noonan is the author of several books and chapbooks, most recently four sparks fall: a novella (Chicago Center for Literature and Photography, 2013) and, with Erin Elizabeth Smith, Skate or Die (Dusie Kollektiv, 2014). 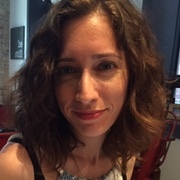 Her work has appeared or is forthcoming in Reunion: The Dallas Review, West Wind Review, Eleven Eleven, Hobart, Ninth Letter, and Phoebe, among others. A weightlifter, crafter, priestess, and all-around woman of action, she serves as the Associate Editor of Sundress Publications. 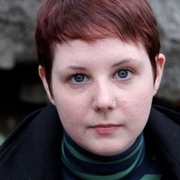 Amy Pence's books include Armor, Amour (Ninebark, 2012), The Decadent Lovely (Main Street Rag, 2010), and the chapbook Skin's Dark Night (2River, 2003). Poems have appeared in Juked, Quaint Magazine, Quarterly West, and others. 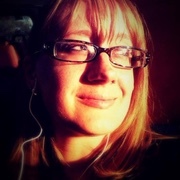 Jillian M. Phillips is a poet and karaoke junkie from Northwestern Wisconsin. Her work has appeared in Nonbinary Review, Silver Apples Magazine, Heavy Feather Review, and others. Her chapbook, Pretty the Ugly, was published by ELJ Publications. She is also the founder and managing editor of Villainess Press and its online journal, The Plot. Jillian earned her MFA from the University of Nebraska's MFA-in-Writing program. 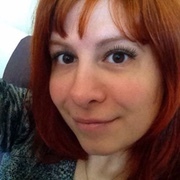 Maria Pinto's recent work has appeared or will appear in Word Riot, Bartleby Snopes, The Butter, Pinball, Hermeneutic Chaos, FLAPPERHOUSE, Jersey Devil Press, 100 Word Story, and Literary Orphans, among others. She was the 2010 Ivan Gold Fellow at the Writers' Room of Boston, in the city where she lives and does karaoke. Her debut novel is in search of a home. She's working on the next. Jessy Randall's collection of poems A Day in Boyland was a finalist for the Colorado Book Award, and a poem from her most recent collection, Injecting Dreams into Cows, was selected for display on a sanitation truck in Sydney, Australia. Her website is personalwebs.coloradocollege.edu/~jrandall, and she blogs about library shenanigans at libraryshenanigans.wordpress.com. 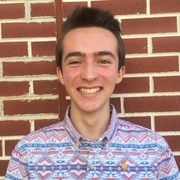 Ryan Reed's first published piece of fiction, An Abandoned Room in the Theater an der Wien, appears in the 2015 issue of Chautauqua Literary Journal. 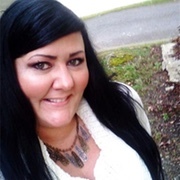 Tammy Robacker is a Hedgebrook Writer-in-Residence award winner (2011) and a TAIP grant recipient (2009). Tammy's poetry manuscript, Cuttings, won the 2016 Keystone Chapbook Prize at Seven Kitchens Press. Her second poetry book, Villain Songs, is forthcoming with ELJ Publications in 2016. Tammy published her first collection of poetry, The Vicissitudes, in 2009 (Pearle Publications). 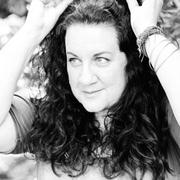 Tammy's poetry has appeared in Menacing Hedge, Chiron Review, VoiceCatcher, Duende, So to Speak, Crab Creek Review, WomenArts, and Up the Staircase Quarterly. Currently enrolled in the Rainier Writing Workshop MFA program in Creative Writing at Pacific Lutheran University, Tammy lives in Oregon. www.pearlepubs.com. 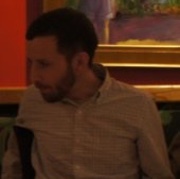 Daniel M. Shapiro is a special education teacher who lives in Pittsburgh. His poems have appeared in Gargoyle, Chiron Review, RHINO, Word Riot, and elsewhere. His book of celebrity-oriented poems, How the Potato Chip Was Invented, was published by sunnyoutside press on the last day of 2013. 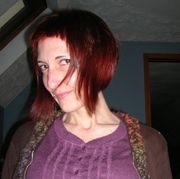 Amy Elisabeth Smith studies poetry in the MFA program at Northern Michigan University. She is an associate editor of the literary journal Passages North and works at NMU's writing center. Her most recent work is forthcoming from Up the Staircase Quarterly and Cream City Review. Erin Stalcup’s debut story collection, And Yet It Moves, will be published in Fall 2016 by Indiana University Press in their Break Away Books series. Her fiction has appeared in The Kenyon Review, Kenyon Review Online, The Sun, and elsewhere. Erin holds an MFA from the Program for Writers at Warren Wilson College. After teaching in universities, community colleges, and prisons in New York City, North Carolina, and Texas, she now teaches creative writing at her alma mater of Northern Arizona University, in her hometown of Flagstaff. 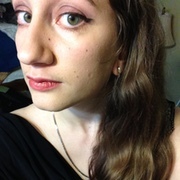 Erin co-founded and co-edits the literary magazine Waxwing: waxwingmag.org. Jen Stein is a writer, advocate, mother and finder of lost things. She lives in Fairfax, Virginia where she works in family homeless services. Her work has recently appeared in Rogue Agent Journal, Menacing Hedge, Luna Luna Magazine, Nonbinary Review, and Stirring. Upcoming work will be featured in Cider Press Review and Alyss. 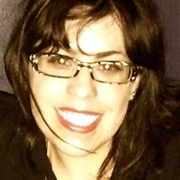 Jen is currently serving as assistant editor for Rogue Agent Journal. 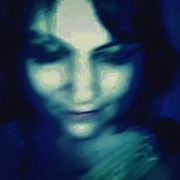 You can find her on the web at jensteinpoetry.wordpress.com. Emily Stoddard writes poetry and fiction. Her work has appeared or is forthcoming in An Alphabet of Embers, Big Scream, and Cactus Heart. Say hello on Twitter (@emilystoddard) or at emilystoddard.com. 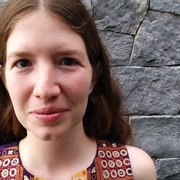 Mary Stone is the author of the poetry collections One Last Cigarette and Mythology of Touch, and a number of chapbooks, including Honey and Bandages, a collaborative chapbook written with Katie Longofono, and The Dopamine Letters (Hyacinth Girl Press). Her poetry and prose has appeared in Gargoyle, Arts & Letters, South Dakota Review, Stirring, and other journals. Currently, she lives, writes, and teaches in St. Joseph, MO, where she coordinates the First Thursday open mic reading series. KMA Sullivan is the author of Necessary Fire, winner of the St Lawrence Book Award (Black Lawrence Press, 2015). Her poems have appeared in Boston Review, Southern Humanities Review, Forklift, Ohio, The Nervous Breakdown, Gertrude, diode, and elsewhere. Essays have appeared in The Rumpus, The Good Men Project, and Nailed. 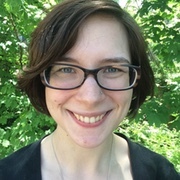 She has been awarded residencies in creative nonfiction and poetry at Virginia Center for the Creative Arts, Vermont Studio Center, and Summer Literary Seminars and she is the Coeditor In Chief of Vinyl and the publisher at YesYes Books. 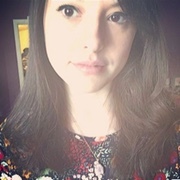 Kailey Tedesco is a student of Arcadia University's MFA in Poetry program. She is the editor-in-chief at Rag Queen Periodical, and a poetry editor for Marathon Literary Review and Lehigh Valley Vanguard. Her poetry aims to explore all that is strange and mystifying about the world. Find her work in FLAPPERHOUSE, Jersey Devil Press, Eternal Haunted Summer, and more. Caitlin Thomson resides in the Chuckanut Mountains. Her work has appeared in numerous places, including: The Literary Review of Canada, The Alarmist, and the anthology Killer Verse. Her second chapbook, Incident Reports, was published 2014 by Hyacinth Girl Press. You can learn more about her writing at www.caitlinthomson.com. Leah Tieger is a graduate of Bennington College, a freelance writer, and a fiction and poetry reader for The Boiler. Nathan Tompkins is a writer living in Portland, Oregon, though his heart will always be in North Idaho. His work has appeared in many publications including NonBinary Review, Yellow Chair Review, and Poeming Pigeons. He is the author of four chapbooks: Junk Mail of the Heart, The Dog Stops Here, A Song of Chaos, and Lullabies to a Whiskey Bottle. John Urbanek reads stories, writes stories, and tells them. For ten years, he played in a country and western/polka band. He has a bachelor’s degree in English from UT/Austin. He currently lives in Rockdale, TX with his family and two horses. 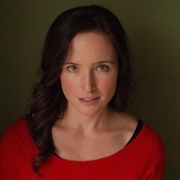 Sonya Vatomsky is a Moscow-born, Seattle-raised poet and essayist. An introvert, she balances her time between being active in several feminist communities and cooking elaborate five-course dinners for herself, alone, in the dark. Her work has appeared or is forthcoming in No Tokens Journal, VIDA, Hermeneutic Chaos Literary Journal, Maudlin House, Weird Sister, and elsewhere. Find her online at sonyavatomsky.tumblr.com and @coolniceghost. 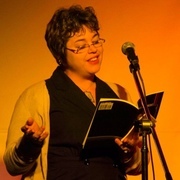 Artress Bethany White is the author of the collection of poems Fast Fat Girls in Pink Hot Pants (2012). She has received fellowships from the Hambidge Center and the Appalachian College Association. Her poetry has recently appeared in Mud Season Review, Mom Egg Review, Harvard Review, Appalachian Journal, Black Renaissance Noire, and African Voices and is forthcoming in The New Guard and Poet Lore. She was nominated for a 2014 Pushcart Prize in Poetry and was a finalist for the 2014 Knightville Poetry Contest. She resides in Knoxville, TN. © 2015 Menacing Hedge and contributors. All rights reserved.